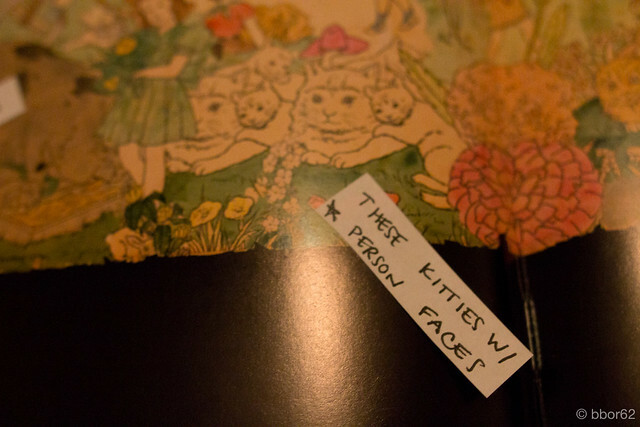 If you aren't familiar with the Folk Artsist Henry Darger, then view the video posted below. I wasn't that familiar until a couple of years ago. 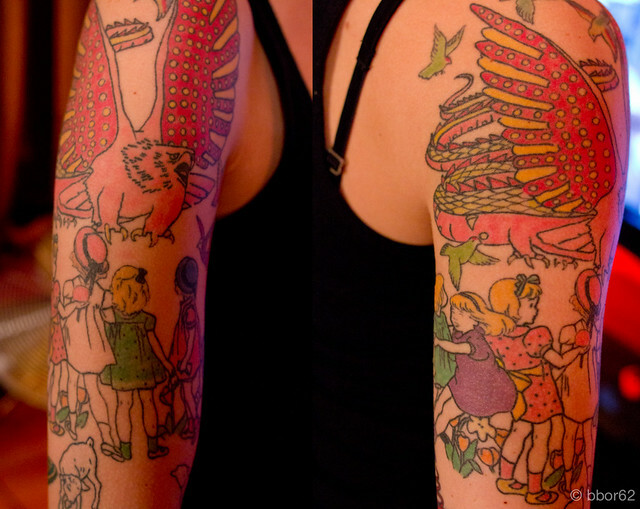 My girlfriend has had a half sleeve of Henry Darger's fantasy water color work. She is obviously a huge fan. 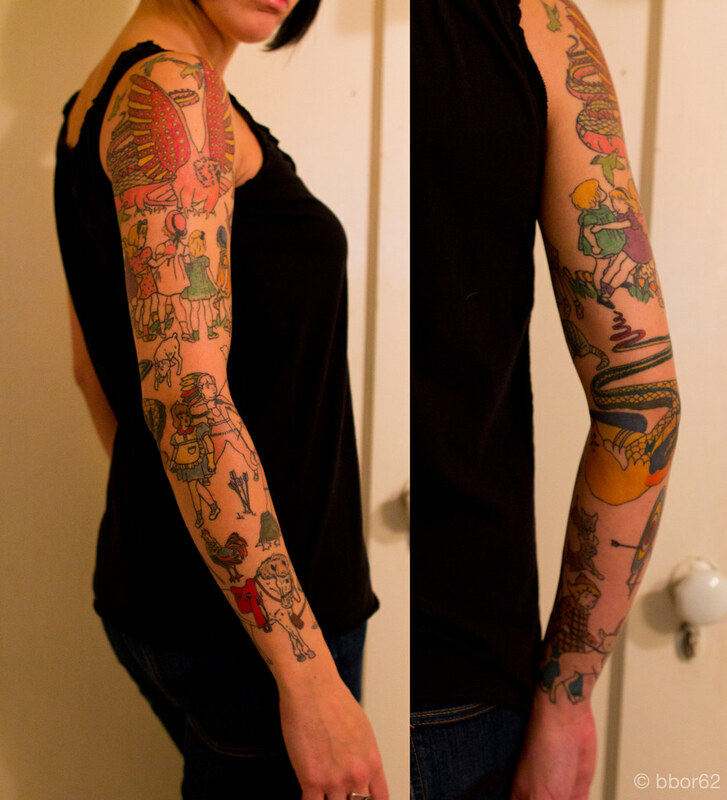 She's been talking about finishing her sleeve for quite some time now. 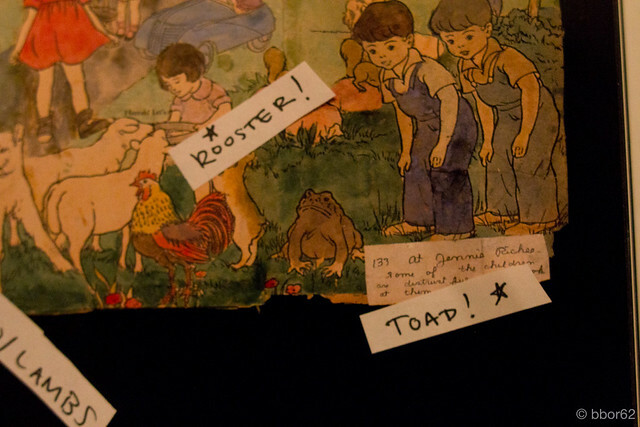 The fascination of his story and his ability to produce odd little cute things has Monica written all over it. 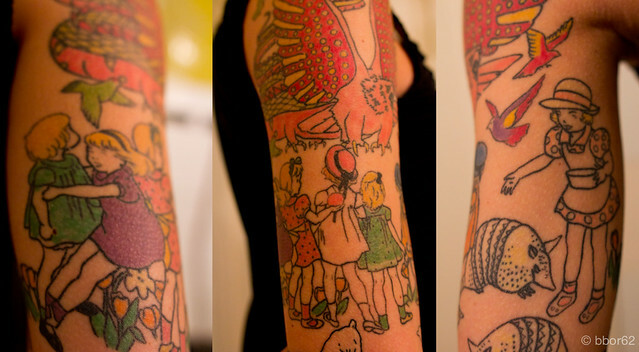 Monica didn't really know what she wanted for her b-day, so I told her to start looking through the Darger book for new characters for your sleeve, because that is your bday present. Once she had these guys all picked out, she brought this to Luke at Allstar in Saint Louis. 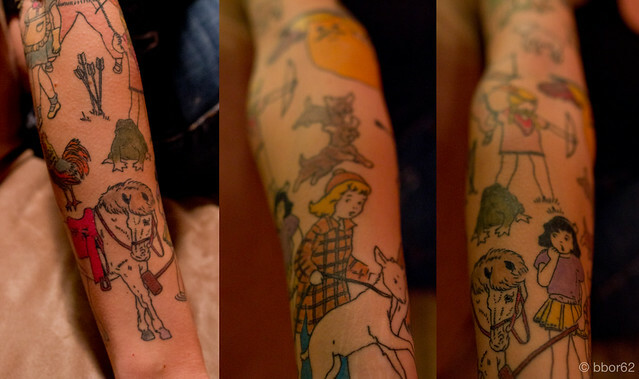 He made them all a little more tattoable, with out losing their free flowing watercolor and sketchy outline characteristics that everyone loves. Her Favorite of all of this stuff is his silly little Mustache Kitty. 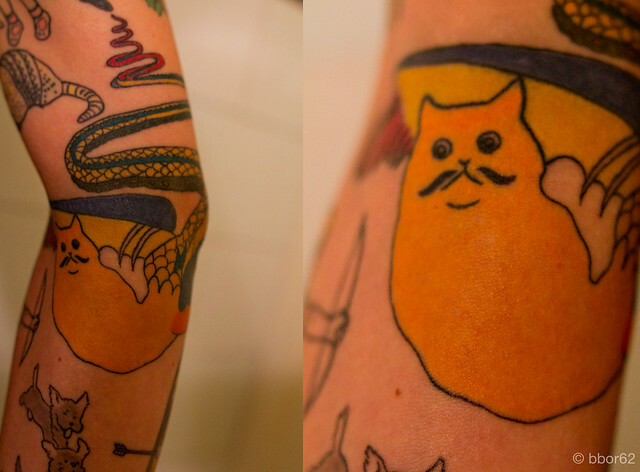 Mustache kitty is an interesting fellow, fully of love and craving kisses from everyone. 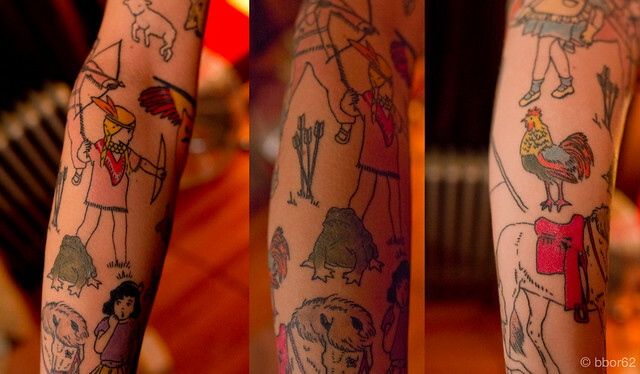 Monica will be writing a blog about this if you want to jump over to MISSMONIKER. 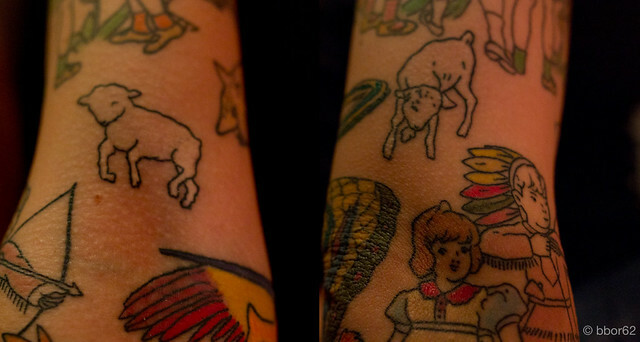 She is in the process of completely revamping her blog, but when she does you can assure she will have a very informative, grammatically proper blog post all about her love for Darger and her love for her new tattoo.